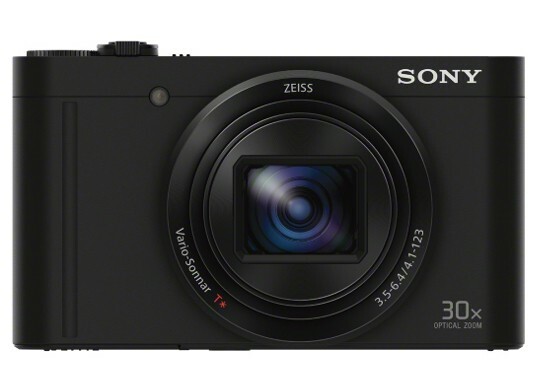 The Sony Cyber-shot DSC-WX500 is an ultra-compact and lightweight camera with a newly developed ZEISS Vario-Sonnar T* 30x zoom Lens plus 5-axis optical image stabilization to keep you images blur free. 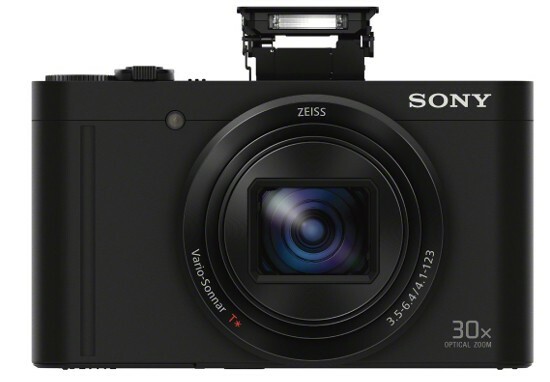 The 18.2MP BSI CMOS sensor along with Sony's BIONZ X processor produces amazing image and video quality. Also featured is a 3-inch LCD that tilts upward 180 degrees which is perfect for selfies. 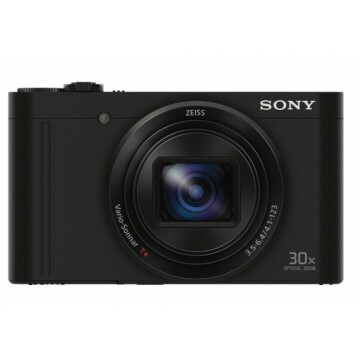 The WX500 can record high-resolution movies in XAVC S or AVCHD format, and you can simultaneously record the action as a compressed, Web-friendly MP4 file for easy sharing. The WX500 also has built-in Wi-Fi with NFC support for effortless viewing and sharing. This 24-720mm (35mm equiv.) lens renders portrait, close-up, and landscape images in natural glory from every perspective, with vivid sharpness and contrast intact. ZEISS T* multi-layer anti-reflective coating effectively eliminates surface ghosting and flare. You can use built-in NFC (Near Field Communication) to make a quick connection via Wi-Fi with Android mobile devices. Then, you can share favourite photos and movies within moments by sending them directly from the camera to the smartphones and tablets 2 of friends and family members. Downloading PlayMemories Mobile onto your mobile device enables you to control the camera remotely. The new XAVC S 3 format captures movies detailing extra-smooth action and high-quality sound with great fidelity to the original sources. Whether you’re shooting in XAVC S or high-definition AVCHD format, you can also simultaneously record another version of the same scene in a compressed, web-friendly MP4 format for convenient sharing. Have no fear of handheld movie shooting. 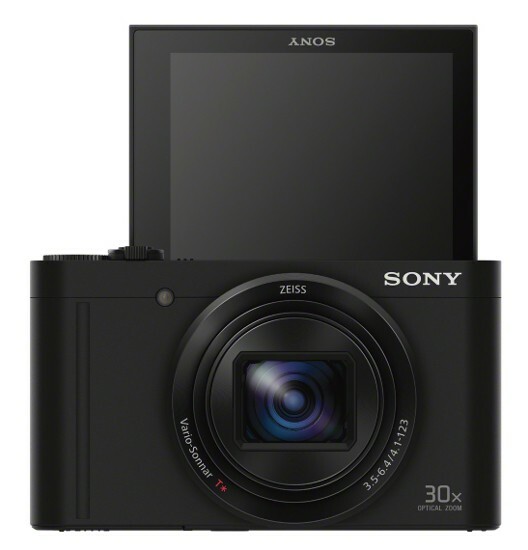 Intelligent Active Mode, featuring Sony's advanced frame-analysis technology and 5-axis 4 image stabilisation, compensates for camera shake. This mode reduces the blurriness that tends to occur in images when shooting handheld or shooting while chasing a subject in action. Retouch the appearance of people in photos quickly and intuitively. With the five modes of Beauty Effect, you can smooth skin, tone skin, dull overly glistening skin, widen eyes and brighten teeth — all in camera, with no need for a PC. Your subjects will love how they can look almost magically enhanced in your portraits. Enhance your creative expression with PlayMemories Camera Apps, offering a growing range of enjoyable applications that are easy to download. Not only do these apps give you greater functionality — they are the ultimate means of personalising your camera to fulfill your photographic aims. Don't worry about depleting your camera battery while you're on the road. 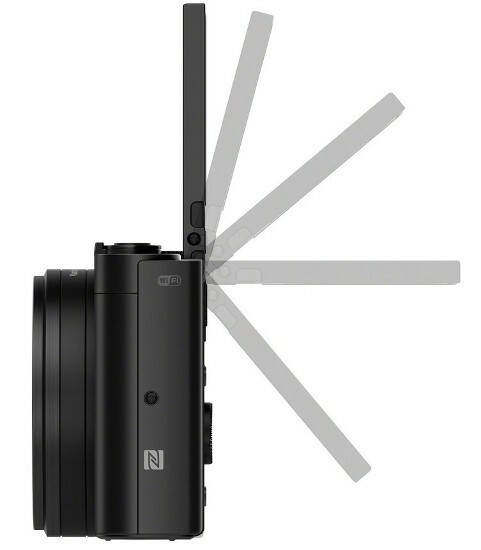 The fully charged lithium-ion battery of the WX500 provides enough power to shoot approx. 400 stills or record approx. 75 5 minutes of movie footage, so you won't miss out on a great photo opportunity.